Crayola is an art supplies company best known for its kids crayons. Call Crayola with your query via your local customer services number from our Crayola contact table below. Read on for more detailed information. Do you have a query regarding a recent Crayola purchase? Do you wish to feedback information regarding you experience of a particular product? Perhaps you are a retailer looking for information on large orders of Crayola products. Call the Crayola UK contact number on 01702 208170 or 01702 200660 for the answers to all your customer questions. This line is open 9-5am on weekdays. You can also email Crayola consumer affairs via their Vivid Email address: consumers@vividimag.co.uk. The UK Crayola website states they they receive approximately 300,000 consumer affairs enquiries via telephone, email and social media. This suggests they consider and respond to all forms to consumer communication, so email and social are both cheap and effective options if you are one of the estimated 2.5 million people in the UK with phone phobia. Social media messaging is also a viable option if you want to save money. The Crayola UK phone number, 01702 200660 is a geographic telephone number and should cost approximately 13p a minute from a landline or approximately from 3p to 55p a minute from a mobile. These are approximate guidelines from the GOV.UK website and you should check with your individual provider before calling. American consumers with customer support inquiries can call or text the Crayola support line on 800-272-9652 (1-800-CRAYOLA) on weekdays between 9am to 4pm Eastern Time. Unfortunately, email is currently unavailable for consumers in the United States and Canada. Are you a bulk purchaser of Crayola goods? Crayola have a phone number dedicated to your bulk and large order queries. For all large orders that do not require a Tax Certificate Status, call 1-(844)-427-2965 between 6am and midnight EST. 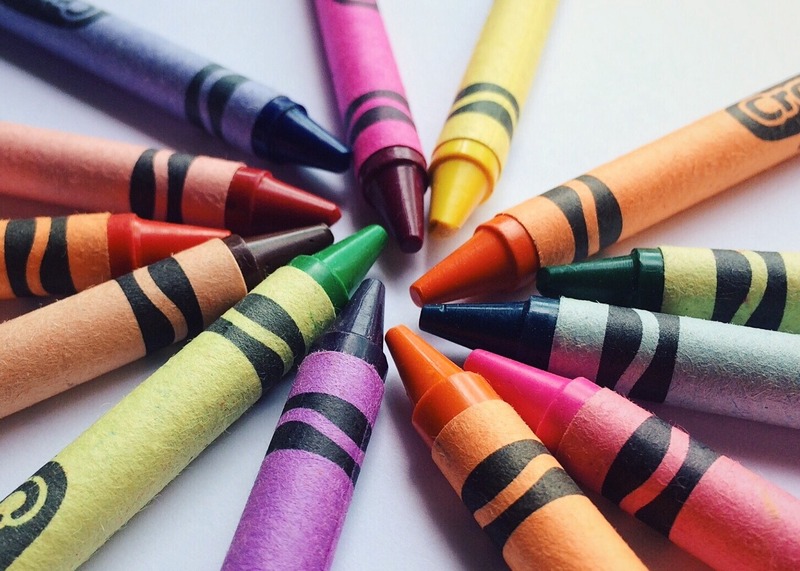 Crayola cannot directly accept orders requiring tax exempt status. For all orders requiring a Tax Exempt Status contact the Paper People on 1-877-985-7877. The Crayola website outlines the order requirements for bulk purchasing. It states bulk purchasers must order a minimum of $2000.000 with a commitment to purchase $10,000 worth Crayola products annually. For more details, call 1-(610)-253-6272 extension 4991. If you cannot meet these requirements you can call Notions Marketing on 800-748-0250. Crayola have additional customer contact numbers and emails as listed below. European customers can call +33(0) 141 06 54 54 on weekdays between 9am and 5pm local time. Germany, France and Italy have dedicated national phone numbers for their customers. In Germany this is +49 6152 71 24 229. You can also email them via peter.simmons@qatc.co.uk. In France, Crayola customers and would be retailers can call +33 (0) 1 41 06 54 54 to get their questions answered. They can also email Peter Simmons via peter.simmons@qatc.co.uk if needed. Italian Crayola customers can contact the company on +39 (0) 543 720997 or fax via 0543-721075. Email enquiries are best addressed to info@binneysmith.it. And for those with time to wait, letters can be sent to Binney & Smith (Europe) Ltd, via Copernico 58 47122 Forli FC. In Mexico, customers can call 01702 208170 on weekdays between 9am and 5pm. Edwin Binney and C Harold Smith founded the company that was to become Crayola in 1885 in New York. Binney and Smith were originally industrial pigment suppliers. However, their innovative and cost saving formulations soon won them awards. In 1900, they began producing slate school pencils and eventually made the first dustless white chalk for which they later won a gold medal at the St Louis World’s Fair in 1904. Working with his schoolteacher wife Alice Stead Binney, Edwin Binney developed a wax crayon. They named their brand Crayola, from the craie (French for chalk) and Ola for oilagineous or ‘oily’. In the years following, Binney and Smith developed their product lines which became increasingly popular. In 1963, the Crayola became a publicly traded company under the code BYS on the American Stock Exchange and then the New York Stock Exchange. They were subsequently purchased by Hallmark cards and remain a subsidiary of this company. You can follow Crayola on Facebook, Twitter, Pinterest and Instagram. In recent years, consumers have found tweeting and messaging companies an effective means of contacting large companies. All you need is an internet to contact Crayola via their social media profiles. The super frugal amongst us could tap into their nearest free wifi hotspot and contact companies for free! At the time of writing, Facebook messages to Crayola typically receive a response within 1 day. For ideas on creative ways to use your Crayola products from sticker making to how to you their Color Wonder Magic Light Brush you can tune in to their YouTube channel. For a more immersive experience or a fun time with the kids, you can also visit one of the growing number of Crayola Experience centres. To buy tickets and find out more information about one of the three Crayola Experience centres in Pennsylvania, Orlando, Texas or Minneapolis, click our link to the Crayola Experience website. The Crayola Experience promises lots of fun for anyone interested in crayons, young or old. These include workshops where you can melt and mold crayons, doodling in the dark or seeing one of the world’s largest crayons: Bluetiful. For more snippets of what you can see and do, check out the Crayola Experience YouTube channel. Are you looking for birthday party ideas, a school trip destination or even a unique wedding theme? Then you can also book birthday parties, school trips and even weddings at selected Crayola Experience sites.